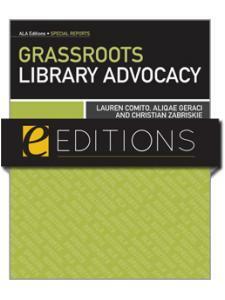 This timely special report from ALA Editions provides a succinct but comprehensive overview of the "privatization" of public libraries. 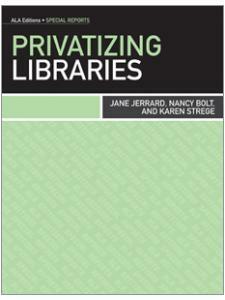 It provides a history of the trend of local and state governments privatizing public services and assets, and then examines the history of public library privatization right up to the California legislation introduced earlier this year to restrict cities in the state from privatizing library services. The book also examines what happens when a private, for-profit organization takes over essential management tasks and decisions of a public library, including the effects this can have on services, patron satisfaction and staff, as well as legal issues. 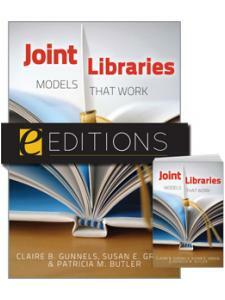 It provides in-depth recommendations for librarians who want to retain control of their own institutions. 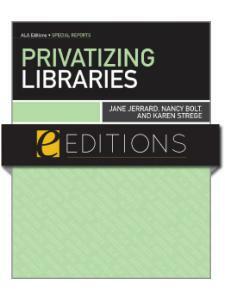 Complete with case studies, statistics, and a valuable checklist of to-dos for libraries that are facing partial or complete privatization. Jane Jerrard is an independent author and editor based in Chicago. She has written books for consumers, children, and librarians, including the ALA Special Report Crisis in Employment: A Librarian's Guide to Helping Job Seekers. Nancy Bolt was State Librarian in Colorado for eighteen years, leaving in 2005 to form her own library consulting company, Nancy Bolt & Associates. Since 2006 she has been Project Co-Director for the ALA's Library Support Staff Certification Program. This book is her second project involving privatization of public libraries. She assisted in the development of Keeping Public Libraries Public: A Checklist for Communities Considering Privatization of Public Libraries. Bolt has a Master of Library Science from the University of Missouri and is certified as an advanced strategic planner from the Association of Strategic Planning. Karen Strege is a co-director of ALA's Library Support Staff Certification Program and a private library consultant, specializing in evaluation. This is her second project on the privatization of public libraries; she assisted in the development of the Checklist on Privatization for Public Libraries. Strege was the State Librarian in Montana for nine years. She has a Master of Library Science from the University of Washington and a PhD from Gonzaga University in Spokane.